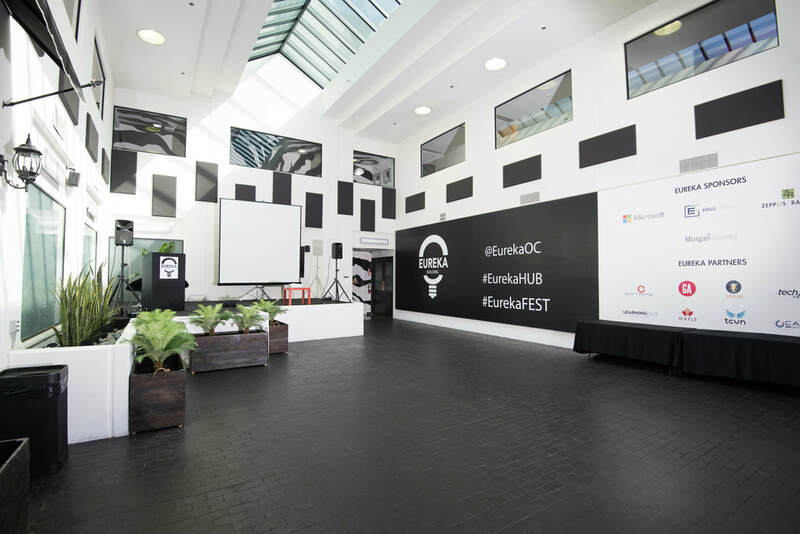 We've hosted some of Orange County's coolest events! Eureka features two unique and creative event venues. Weekly we host events for tech companies + entrepreneurs as well as corporate events. On weekends we host weddings, special occasions, and many social gatherings. An unexpected touch of outdoors in an industrial area that can transform any occasion into a night to be remembered. 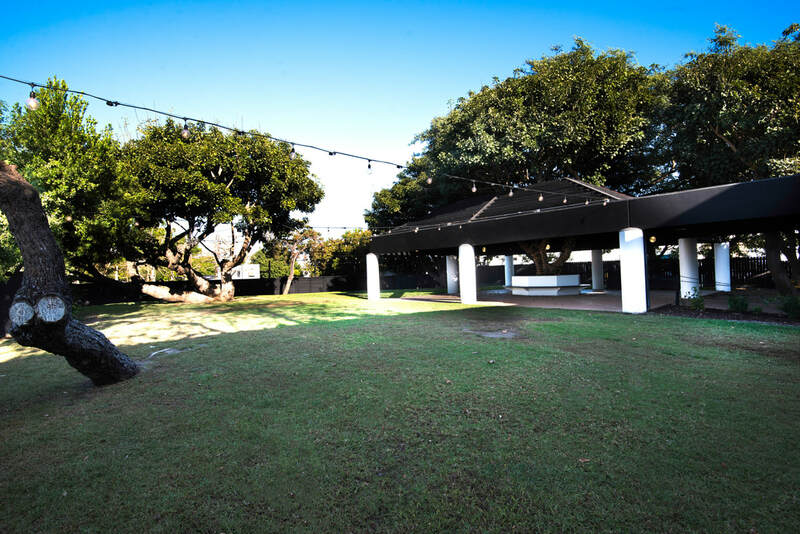 Enjoy the large trees and ample outdoor lighting to create a truly one of a kind event. A unique indoor venue and accompanying entryway that can be styled to impress your guests or event attendees.